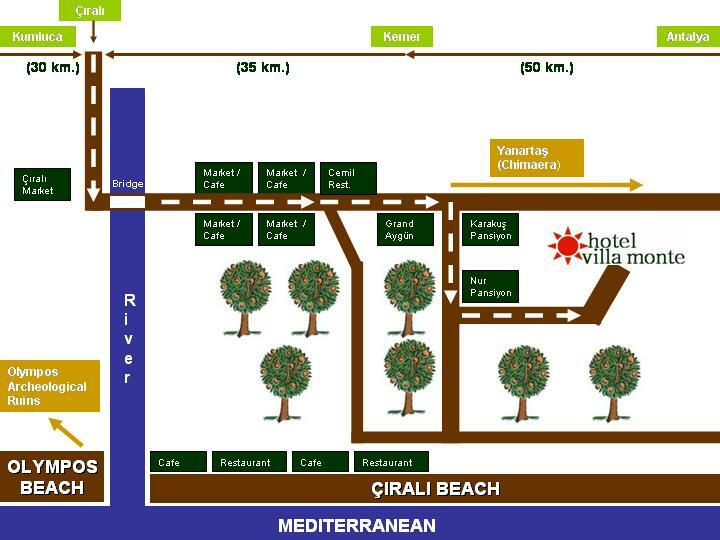 How to get to Ã‡ıralı? By car: One hour scenic drive from ANTALYA AIRPORT (90km) watch the KUMLUCA signs on the road. Drive until CIRALI sign on the left. Transfers: Airport transfers are available on request from the airport. How to get to Villa Monte?